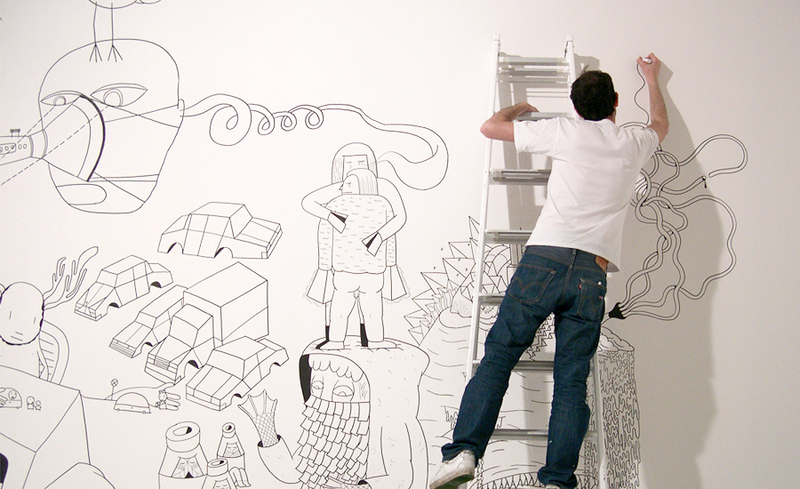 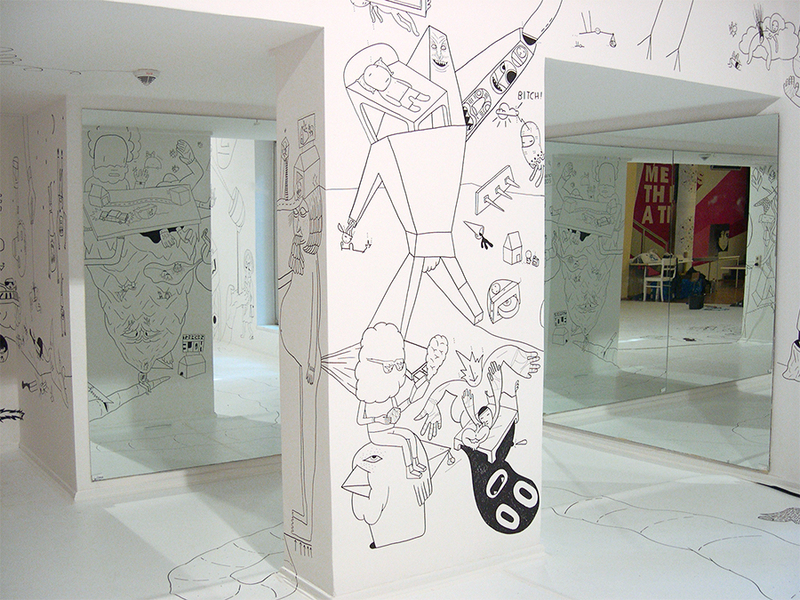 Pictoplasma’s “Colour Me!” installation invites a selected group of international character designers and artists to meet for the first time and collaborate on the creation a unique colouring and activity room: while locked in the venue for several days, thousands of untouched black and white illustrations, scribbles and characters begin to cover a white room from floor to ceiling, wall to wall. 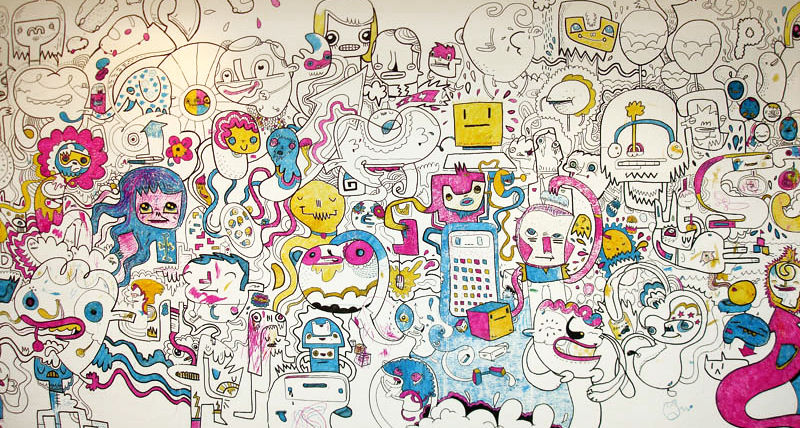 Upon completion, visitors are invited to enter the space and lovingly colour in the characters in special Cyan, Magenta and Yellow pens, turning the space into an ever evolving colouring and activity room in true CMYK. 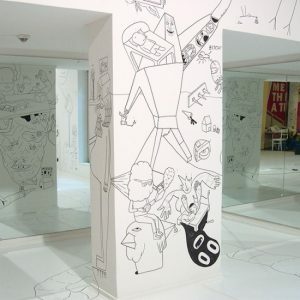 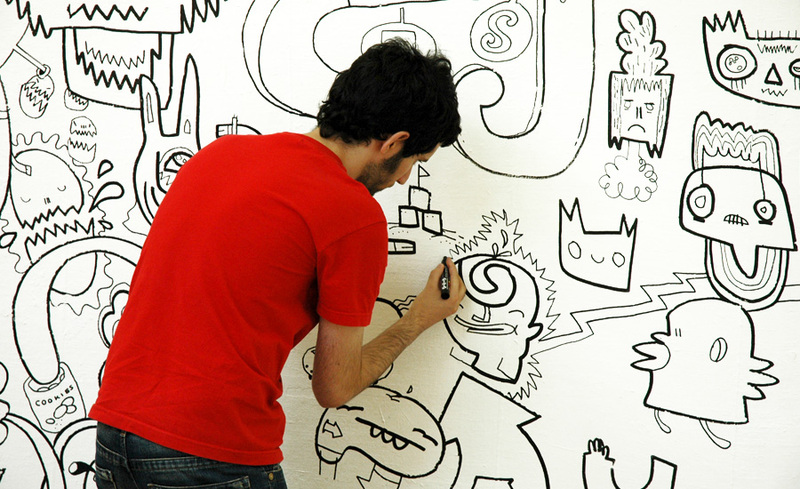 Since the projects premiere in 2005 numerous walls of established project spaces, upcoming galleries and high-art museums from Europe to Asia have been covered with thousands of black outline illustrations, only to find themselves coloured in to the point of total occlusion by a huge stampede of happy visitors. 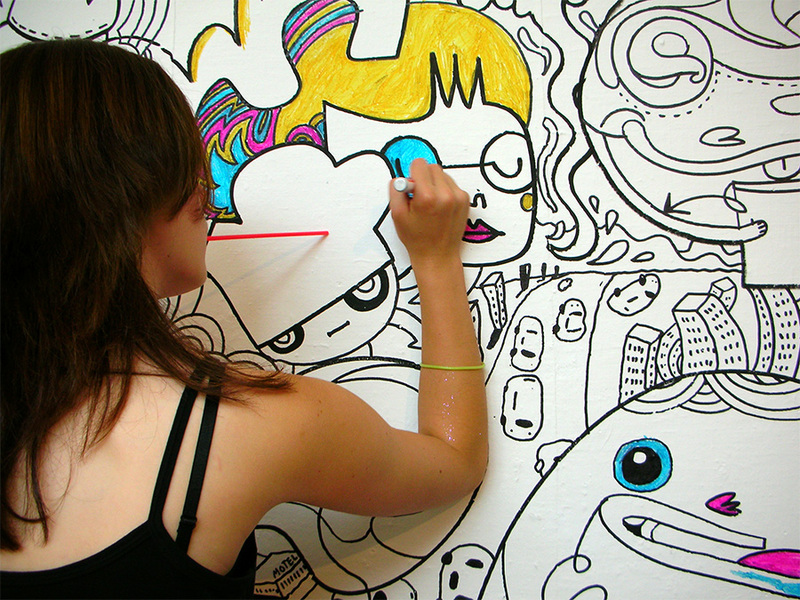 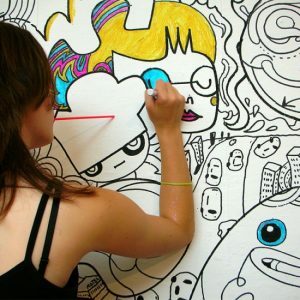 Amongst others, “Colour Me!” has been set up in Düsseldorf, Halle, Hong Kong, New York and Peterborough. 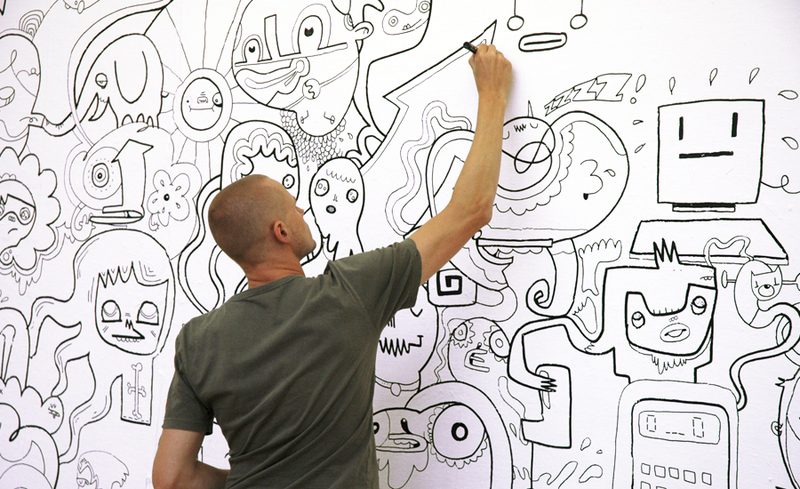 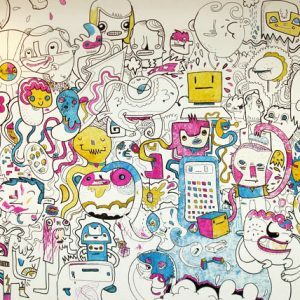 Participating artists include Jon Burgerman, Sune Ehlers, Boris Hoppek, Shoboshobo, Neasden Control Centre, Ian Stevenson and Dennis Tyfus.